Leed’s Everyday People are one of those bands that I’ve seen mentioned in various places but never checked out. The band asking LSF to review their current single gave me that opportunity, and boy am I grateful. The band describe themselves as ‘New-Wave Funk and Soul’ and yep this thing has a whole load of soul, a shedload of funk but it has a rock edge. And it grooves people, it grooves hard. The thing is that for much of the song the rock edge just bubbles under, it’s there but it’s not obvious. BUT at the end this thing revs up, it just rocks out. And it’s thrilling. Musically this is a band who know their chops, the playing is just way up there. I have a particular thing about the drumming on the track but that’s just me, I always listen to the drumming on tracks. There is some great guitar, it’s absolutely fantastic. And the vocals are cool with just the right amount of laid-back. Maeve has this wonderful vocal sound when she let’s go which I can only describe as being vaguely Cher-like – except that even as I wrote that I’m now not sure, it’s somebody from the late 60s but I can’t quite recall exactly who I’m thinking of – she has this slight vibrato thing going on. Mentioning this reminds me that the song has a feel of the late 60s/early 70s, this sounds as though it’s a retro-fest but it isn’t, it’s just that it has that feel in a good way. But it’s also bang up to date. When I first heard the track my immediate thought was that Everyday People’s sound is similar to Sifaka. I was kinda right and kinda wrong on reflection (and much repeated listening), Sifaka are more rock in feel but there’s some points where their sound is similar to Everyday People’s, at least as far as this single goes. And the big thing that is similar is that both bands sound like bands playing live on their recorded material, it sounds organic and real, there isn’t obvious digital fx going on. 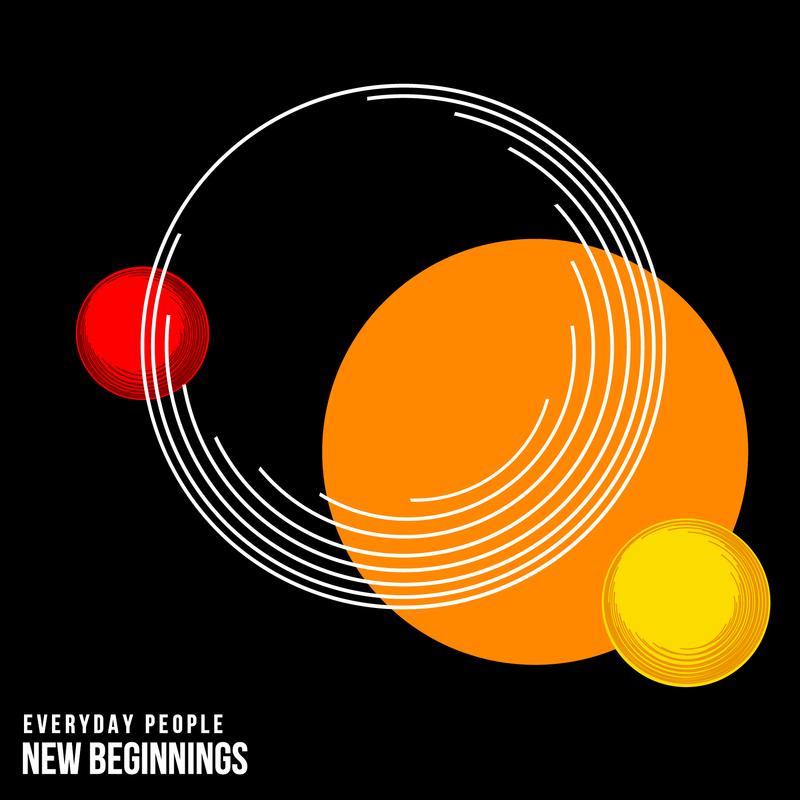 ‘New Beginnings’ is a blast of groove people, go listen. 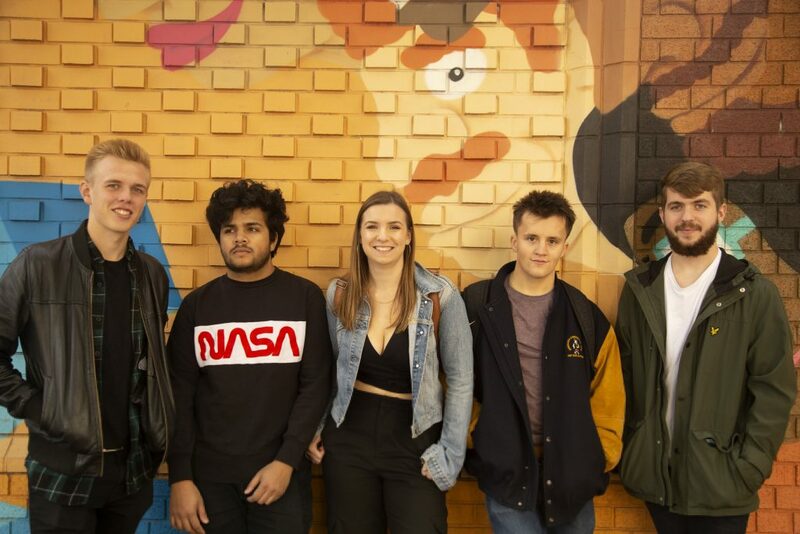 Everyday People are a New-Wave Funk and Soul 5-piece band, based in Leeds. The group draw their influence from classic artists such as Sly and the Family Stone, Booker T. and the M.G.’s, as well as Nile Rodgers and Chic; from this they channel their own modern twist, to create the signature sound that is Everyday People. They work to fuse funky riffs and hooks with melodic vocals that are certain to keep the crowd moving.